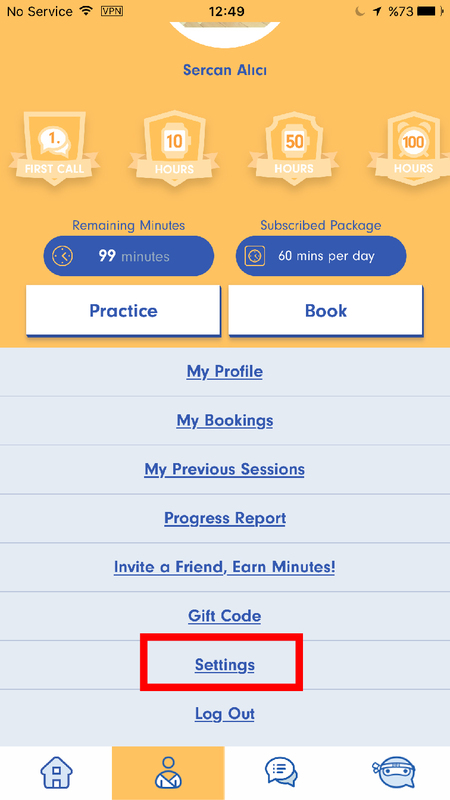 Mobile - I want / don't want to get session summary e-mails. How can I do? It is optional to get session summary e-mails. After your sessions with English Ninjas tutors., all of your messages in the session, and tutor's review about your skills are send to you with an e-mail. It is not compulsory but by default it comes with turned-on. 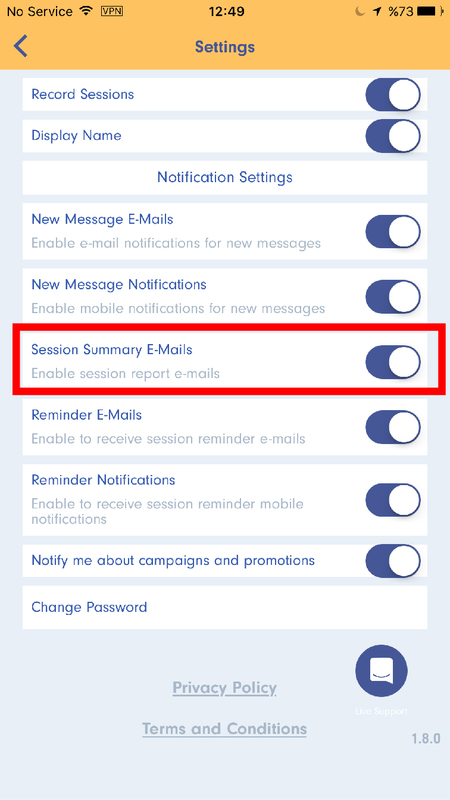 If you don't want to get session summary emails you have to turn-off "Session Summary Mail" option.